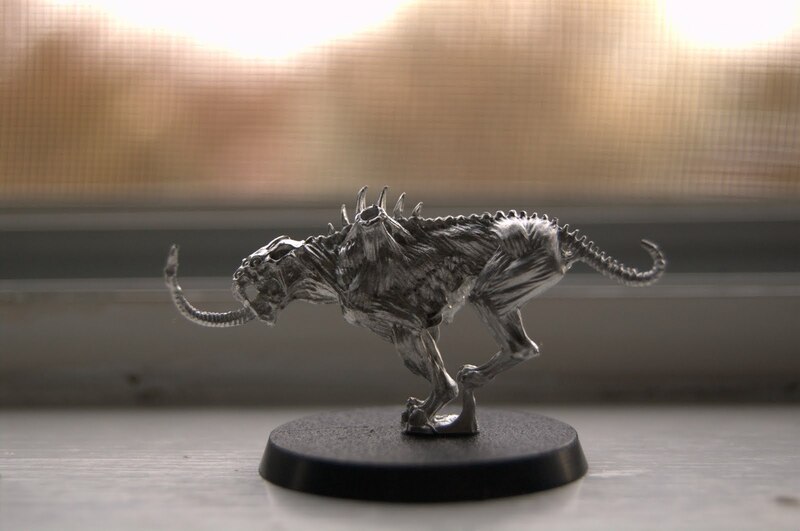 There's been some talk (rumors) recently of GW doing away with metal models. The local shop owners around me insist this is pure speculation and despite reorganizing/condensing their blister pack sections of the store, there hasn't been any internal word regarding such a change from the horses mouth. But assuming this is true, I have to admit it leaves me with some mixed feelings. On the one hand, plastic and resin are much easier to work with when you're talking about conversions and making a model unique. Plus, the molds for these materials have come a LONG way since I started the hobby. It's not altogether a bad thing. 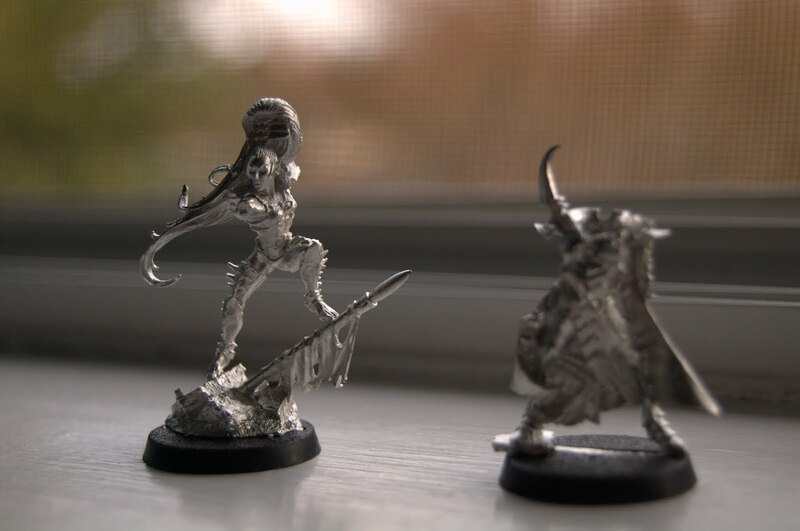 But on the other hand, I do love me my metal models! The intricate details... the extra weight of the models in your hand. Maybe it's mostly nostalgia for me, but I would be sad if they completely stopped using metal. All of this and the fact that Dark Eldar had a relatively small representation last weekend at Adepticon has me in the mood to bust out the metal. I've had hobby ADD in the worst way the past couple of weeks. I'm still assembling a couple of Speeders and a squad of Scout Bikers (all plastic). I've also got my Forge World stuff on the table; Sternguard squad, Captain Korvydae, and another Venerable dreadnought (all resin). 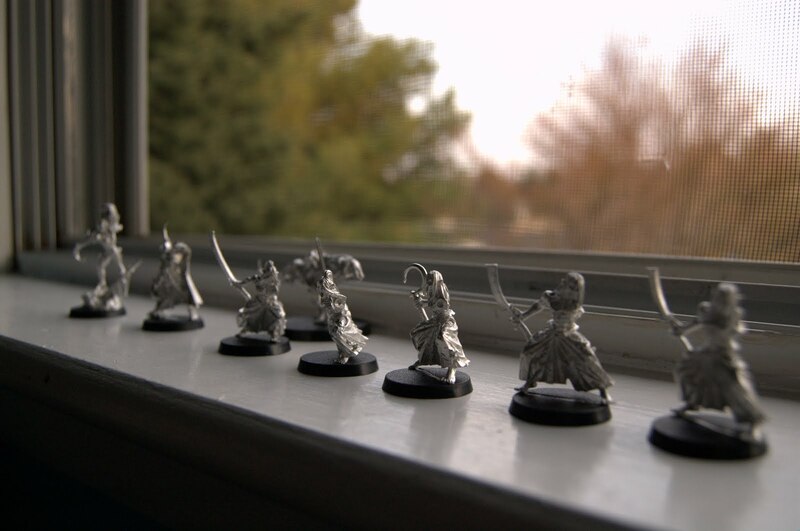 And now some of my new Dark Eldar units (all metal). I've got all three material types on the table at the same time, and honestly each has their own place. Like I said, the new plastics are impressive. I'll admit, resin is more of a pain to work with than I thought - it can be brittle and unforgiving when removing the mold lines and cleaning the model. Not like the metal Mandrakes and Beastmaster squads I cleaned this morning. In my experience, metal doesn't have as much clean up required as resin does to get it ready for gluing. That being said, I think we can all agree gluing plastics is a breeze compared to the hand-cramp inducing chore of gluing metal & resin. Ah well, different strokes for different folks. At the end of the day, I'm all for plastic if that in turn translates to more affordable minis. But I wont discriminate against any of the materials as long as an awesome end result can be achieved.